How can an individual determine which payroll certification exam he or she is best suited for? How can an individual determine which areas of payroll they may need to focus on in preparing for the exam? The Payroll Certification Exams are designed to test individuals' Knowledge, Skills, and Abilities (KSA) within the payroll body of knowledge. KSAs are a more detailed version of the exam's content outline. 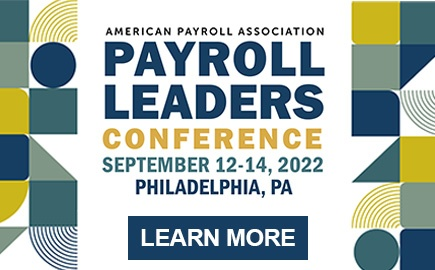 To assist candidates in defining which areas of payroll to emphasize their study on, the American Payroll Association's (APA) Knowledge Assessment Calculator (KAC) is a Web-based tool that assesses an individual's payroll knowledge, scores their performance, and immediately recommends training options. This is an assessment tool, it is not a training tool, and therefore there is no feedback on what the correct answers are. Many organizations and local APA chapter study groups utilize the KAC to aid them in determining which payroll certification exam best suits each individual. For more information on the KAC, visit www.payrollkac.com. When and how should an individual begin to prepare to take one of the payroll certification exams? It is always best to start early! The majority of those who have successfully obtained payroll certification have stated "It is best to begin preparing for the exam at least 6 months in advance." There are several methods available to help individuals study and prepare for the payroll certification exams. The American Payroll Association (APA) offers various courses specially designed to prepare individuals for the exams. In addition, there are some self-study tools available such as The Payroll Source®, PayTrain®, Payroll Practice Fundamentals and PayTrain® Fundamentals. Many local APA chapters host exam study groups and some local area colleges/universities offer the PayTrain® College & University courses. For more information and a complete list of courses that can be used as study tools, visit APA's Education page. There are also various resources and publications available to prepare for the payroll exams. In addition to courses and resources, there are many free publications from government agencies and websites that provide valuable reference material. A more detailed list of courses, resources, publications, and websites is contained in the Candidate Handbooks. Note: APA strongly suggests that exam candidates use more than one study source in preparing for the payroll certification exams. How often are the American Payroll Association certification exams administered? The Certified Payroll Professional (CPP) and Fundamental Payroll Certification (FPC) exams are offered simultaneously twice each calendar year in the United States and Canada and year round internationally and at military locations. The North America (U.S. and Canada) payroll exams are administered during a one-month testing window in the Spring and Fall. Please check the Certification website and handbooks regularly for the Fall and Spring window testing dates and regulatory changes that may affect the examination. 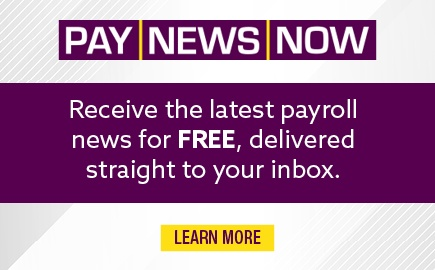 Mid-year law or regulatory changes are not reflected in the current year's payroll exams. When and how can an individual register to take the payroll certification exams? And, where can the exams be taken? Registration is done directly through the APA while the administration of the payroll certification exams is handled by the APA's testing partner, Pearson VUE. International and military candidates can register for the exams at any time. Refer to the CPP or FPC Candidate Handbook for detailed information regarding exam application, scheduling, and more. Reservations to sit for the exam should be made as early as possible in advance of the desired test date. Test centers have space limitations, so it is recommended that reservations be made early. Administration of the exam is also offered at APA Learning Centers at the conclusion of the Payroll Administration Certificate Program (for CPP) and the Foundations of Payroll Certificate Program (for FPC). Separate registration for the exam is required and information is included in the CPP and FPC Candidate Handbooks. All reservations are made on a first-come, first-served basis, and walk-in examinees are prohibited. What does it cost to take a payroll certification exam and what forms of payment are accepted? The fee for the American Payroll Association (APA) certification exams depends on the exam type - Fundamental Payroll Certification (FPC) or Certified Payroll Professional (CPP). Future payroll certification exam fees are subject to change. All applicable fees are published in the Candidate Handbooks and on the APA webstore. Fees are collected by the APA at the time of registration. Payment can be made by major credit card or electronic check. All payments must be processed prior to the scheduled testing date and upon approval of the exam application. Is there a limit on the number of times an individual can take a payroll certification exam? 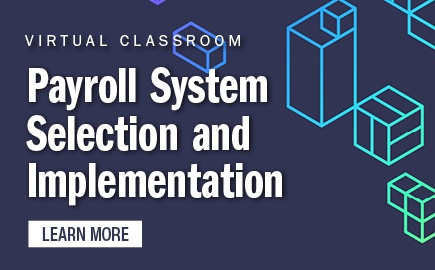 An individual can take either the Fundamental Payroll Certification (FPC) or the Certified Payroll Professional (CPP) exam only once within a testing window. If a passing grade is not achieved, the exam candidate must wait until the next testing window to retake the exam unless they have obtained additional training by attending APA's Foundations of Payroll Certificate Program (for FPC) or Payroll Administration Certificate Program (for CPP) offered in San Antonio, TX or Las Vegas, NV. If an individual takes the FPC exam and passes, provided they meet the CPP requirements, they can also take the CPP exam within the same testing window. How many questions are on the payroll certification exams and how long does a candidate have to answer the questions? The Fundamental Payroll Certification (FPC) exam consists of 150 questions. FPC candidates are given 3 hours to complete the exam. The Certified Payroll Professional (CPP) exam consists of 190 questions. CPP candidates are given 4 hours to complete the exam. Please refer to the FPC or CPP Candidate Handbook for further scoring information. Once a payroll certification is obtained, how long is it valid? Fundamental Payroll Certification (FPC) is valid for three full calendar years after the year of certification. Certified Payroll Professional (CPP) certification is valid for five full calendar years after the year of certification. This is known as the "recertification period." A Recertification Log is available to all FPCs and CPPs via the APA website. The American Payroll Association's Certification Department strives to email recertification reminders in which payroll certification is due for renewal, but it is the designee's responsibility to maintain certification status. How can a payroll certification be retained beyond the initial certification period? Retaining payroll certification can be done through continuing education or by successful re-examination. To recertify through continuing education for the Fundamental Payroll Certification (FPC) designation, an individual must accumulate a minimum of 60 qualifying recertification credit hours (RCHs) over the three-year recertification period. Upon verification of RCHs by the American Payroll Association (APA), a complimentary certificate can be ordered for another three-year period. To recertify through continuing education for the Certified Payroll Professional (CPP) designation, an individual must accumulate a minimum of 120 qualifying recertification credit hours (RCHs) over the five-year recertification period. Upon verification of RCHs by the American Payroll Association (APA), a complimentary certificate can be ordered for another five-year period. If an individual wishes to recertify through re-examination (FPC or CPP), they must successfully complete the exam within the last year of their recertification period. Upon successful completion of the exam, a complimentary certificate may be ordered for the appropriate period (three or five years). Individuals who fail to recertify by continuing education or re-examination will have their payroll certification designation removed retroactive to December 31 of the year in which the recertification period ended. The APA offers a variety of courses, seminars, and conferences to assist in recertifying through continuing education. For a detailed listing of APA's programs, visit the Education page on the APA website. RCHs may also be obtained from qualifying college or university courses, approved APA chapter meetings and statewide conferences, and approved payroll-related education from third parties. Note: Starting January 1st, 2019 APA will no longer accept unapproved provider courses for recertification. Can Recertification Credit Hours (RCHs) be accumulated by attending educational programs that are not offered by the American Payroll Association (APA)? Yes, if the program is authorized by the APA through participation in the Approved Provider or RCH Chapter programs. The authorized provider or chapter offering the program must supply all participants with proper documentation as proof of attendance and an agenda showing the topics covered. A detailed explanation of eligible programs and required documentation is provided on the Approved Provider and RCH Chapter page. You may find all currently APA authorized program providers under the Recertification menu on our website. The majority of APA national education programs also qualify toward recertification. For a list of APA course programs, visit the Education page. Starting January 1st, 2019 APA will no longer accept unapproved provider courses for recertification. Please review the official announcement posted on the APA website for details. After January 1, 2019, only courses participating in the Approved Provider, RCH Chapter program, majority of APA events, and accredited college/university courses, that are approved for RCHs, can be used for FPC or CPP recertification. Are there any payroll courses available online to prepare for the payroll certification exams? Yes. The American Payroll Association offers various online courses - such as PayTrain® Fundamentals and PayTrain®. A number of study aids are available for exam candidates. No one source should be considered the only basis for exam preparation. When studying use a number of references to ensure a wide diversity of information. For more information about different study aids, please download either the FPC or CPP Candidate Handbook. When attending an educational program, how is the number of recertification credit hours (RCHs) calculated? The actual number of educational clock hours spent in direct participation in a structured educational format as a student or instructor qualify as RCHs. Lunch, breaks, time spent at vendor hall exhibits, general business discussions at chapter meetings, etc., are not included in educational time. RCHs can also be accumulated by converting qualifying continuing education units (CEU), continuing professional education (CPE) credits and college/university semester/quarter credits. In order for CEUs, CPE credits or college/university credits to qualify as RCHs, the content must be included in the content outline of the exams or within the definition of payroll industry. Non-APA programs/courses must be approved by APA and the program provider must be an authorized provider of RCHs. Payroll industry is defined as: Payroll - production, reporting, accounting, systems, taxation, administration, and education/consulting. One CEU is equivalent to 10 RCHs, whereas .1 CEU is equivalent to 1 RCH. One quarter credit is equivalent to 5 RCHs. The conversion for CPE credits to RCHs is the number of CPE credits, multiplied by 50 divided by 60, rounded down to the nearest 30 minute increment. Example 7 CPE credits multiplied by 50 equals 350 divided by 60 equals 5.83 equals 5.5 RCHs. Whereas 8 CPE credits equate to 6.5 RCHs. Can recertification credit hours (RCHs) be accumulated by facilitating or participating in the same payroll topic/course more than once during a calendar year? RCHs are accumulated once for each qualifying topic facilitated or participated in within the calendar year. However, there is an exception to the calendar year restriction for those facilitating or participating in a study group in preparation for the payroll certification exams. If the materials studied are based on different sets of federal laws and regulations then RCHs can be earned for both study groups. For example, the Fall 2017 and Spring 2018 exams both test on federal laws and regulations effective January 1, 2017. Therefore, if facilitating or participating in a study group for the Fall 2017 and Spring 2018 exams, RCHs accumulate only once per topic facilitated/participated in. However, if an individual facilitates/participates in a topic in preparation for the Spring 2018 and Fall 2018 exams, RCHs accumulate for each topic facilitated/participated in even if the topic is duplicated. If an individual with an FPC or CPP designation accumulates the required number of recertification credit hours (RCHs) before the end of the recertification period, can they submit the recertification log prior to their certification expiration date? No. If RCHs are accumulated in excess of the required minimum - 60 in three years for the FPC and 120 in five years for the CPP - in a time period less than the applicable recertification period, the Recertification Log can be submitted no earlier than June 1 of the year of expiration. RCHs in excess of the minimum required for the applicable certification cannot be carried over into the next recertification period. Keep in mind that 60 qualifying RCHs for FPCs and 120 qualifying RCHs for CPPs is the minimum number of RCHs needed to qualify for recertification, and many FPCs and CPPs will pursue professional development beyond the minimum standard. If an individual who has obtained a payroll certification participates in the implementation of new or upgraded payroll-related software as part of their job at their place of employment, can recertification credit hours be earned for this participation? Only the hours of structured training related to the implementation that also fall within the content outline of the exams or the definition of the payroll industry can be earned as RCHs. Training provided by the vendor, or organization must be approved by APA in order to provide RCHs to participants. The hours spent on the job processing the implementation does not qualify as RCHs. What is the recertification process if an individual who has obtained the Fundamental Payroll Certification (FPC) designation obtains a Certified Payroll Professional (CPP) designation within the three-year FPC recertification period? In this example, a five-year CPP recertification period begins after successful completion of the CPP exam and the FPC credential will not be recertified. Individuals may continue to use both designations until the FPC expires. Designations (FPC/CPP) should be used after the individual's name. Example - Patty Payroll, FPC, CPP. Example - if FPC designation is attained during 2017 and CPP designation is attained during 2018, FPC and CPP designations may be used through December 31, 2020. Effective January 1, 2021, only the CPP credential may be used through December 31, 2023 (and thereafter if the CPP recertification process is completed successfully). Can preparation for attaining another type of certification qualify as recertification credit hours (RCHs) toward recertification as an FPC or CPP? Obtaining another certification does not qualify for recertification of the FPC or CPP designations. However, if the programs/courses attended to prepare for such other certification fall within the content outline of the payroll certification exams or within the definition of the payroll industry, and the program/course provider is approved by APA as an authorized provider of RCHs, the applicable hours spent studying would qualify as RCHs. Is there a minimum or maximum number of recertification credit hours (RCHs) that should be accumulated for payroll recertification each calendar year? There is no minimum annual requirement. As long as at the end of the recertification period the RCHs recorded qualify (FPC = 60 or CPP = 120), the recertification log is approved, and applicable fees are submitted to the APA, the individual will be recertified. What if, after submission of the recertification log, the American Payroll Association (APA) determines that programs attended do not qualify toward recertification and total recertification credit hours (RCHs) are below the required minimum? In the event RCHs are denied and subtracted from the total, resulting in less than the required number of qualifying RCHs being accumulated, the individuals must accumulate the appropriate RCHs before their certification expiration date and resubmit their log. Otherwise, the individual will not qualify for recertification through continuing education. In such a case, the FPC/CPP designation will be removed from APA's records. To become certified again, the individual must retake and pass the appropriate exam and a new certification certificate may be ordered. APA strongly suggests that individuals review their FPC or CPP Recertification Log frequently and not wait until the end of the recertification period to review and total RCHs. If at any time you are unsure whether an educational program qualifies for RCHs, review the KSAs and exam content outline, or contact APA's Certification Department at [email protected]. Are transcripts provided for attendance at American Payroll Association (APA) programs? Transcripts for APA national courses, seminars and conferences attended, within the current recertification period (3 years for FPC and 5 years for CPP), will be provided upon submission of payment. Please allow two (2) weeks for processing. APA will provide transcripts via email. If you need to update your contact information, please call Customer Service at (210) 224-6406 or email [email protected]. Are college credits received for obtaining a payroll certification? The American Council on Education (ACE) has approved the payroll certifications for college credit. Up to 8 semester hours can be awarded for obtaining the Fundamental Payroll Certification (FPC) designation and up to 15 semester hours can be awarded for obtaining the Certified Payroll Professional (CPP) designation. However, colleges and universities may deny some or all of such credits based on the student's curriculum. For information on ACE, visit www.acenet.edu. Can a person's certification be verified by the APA? To verify a FPC or CPP certification, please use the Directory of Certificants search tool. The APA can only verify if an individual has attained either the FPC and/or CPP certifications. Other certifications cannot be verified, nor do other certifications have any relationship to APA's FPC and/or CPP certifications. What are the certification exam eligibility requirements? The Fundamental Payroll Certification (FPC) exam has no eligibility requirement. The Certified Payroll Professional (CPP) exam has eligibility requirements. Please review the Criteria options on the CPP webpage or download the CPP Candidate Handbook for detailed eligibility requirements. Note: The Candidate Handbooks are updated on a regular basis throughout the year. The APA strongly recommends that exam candidates always refer to the FPC or CPP Candidate Handbooks for the most current information. Eligibility criteria should not be considered as the only criteria for preparation for the CPP exam. Candidates for the CPP exam, qualifying through any of the criteria, should be aware that a number of study aids are available as added preparation for the CPP Examination. No one source should be considered the only basis for preparation. Successful candidates indicate that they pursued at least a three-month minimum course of study and review based on the CPP examination content outline. Individuals meeting any one of the three criteria are eligible to take the CPP Examination. Payroll professionals who are currently certified and are applying for recertification through examination or continuing education are exempt from the above requirements. The Certification Board's CPP Committee reserves the right to review an applicant's qualifications and eligibility. Is it a requirement to take the FPC examination prior to testing for the CPP? No. The FPC does not have any prerequisites. However, the CPP does have some prerequisites, but you are not required to take the FPC examination, unless you choose to fulfill eligibility Criteria 3 for the CPP exam. Please review the CPP eligibility requirements. How can the FPC or CPP examination be rescheduled or cancelled? Please review the complete cancellation/reschedule policy in detail (see FPC or CPP Candidate Handbook) prior to making an exam registration. 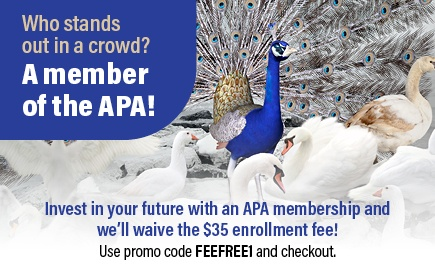 If you need to cancel your APA exam appointment, you must do so 31 or more calendar days in advance to avoid any fees. Do NOT contact Pearson VUE's local testing center if you need to cancel or reschedule an exam appointment. All candidates must telephone Pearson VUE or go to www.pearsonvue.com/apa at least 96 hours before the scheduled examination date to change or cancel a reservation. Changed reservations with proper notice may be transferred to a new reservation (within the current testing window for the Northern Americas region). Candidates will forfeit the entire examination fee and be considered a no-show if the change or cancel request is received less than 96 hours from the exam reservation. Candidates who cancel an exam 96 hours to thirty (30) calendar days before their exam reservation will incur a non-refundable cancellation fee of $50 USD. Cancellations that occur more than thirty (30) calendar days prior to an exam reservation are not subject to additional fees. Please note that there is no fee to change a reservation during this same period. Examination fees are fully refundable only if the candidate cancels the reservation with proper notice (96 hours from the scheduled exam). Note: the cancellation fee will apply to exams cancelled 96 hours to thirty (30) calendar days from the exam reservation. Appointment date and time options vary on the selected test center availability. Please refer to the FPC or CPP Candidate Handbook for more information on how to apply, special accommodations, rescheduling, cancellations, and more. Contact the APA at [email protected] or (210) 224-6406.